Lately, all the car manufacturers are playing the “efficiency” game. Either the engines or the bodies came to an unprecedently optimization level. SsangYong successfully entered this game, being awarded for its effort. The three main directions for having a fuel-conscious car are the improved powertrain, better aerodynamics and a lighter body. 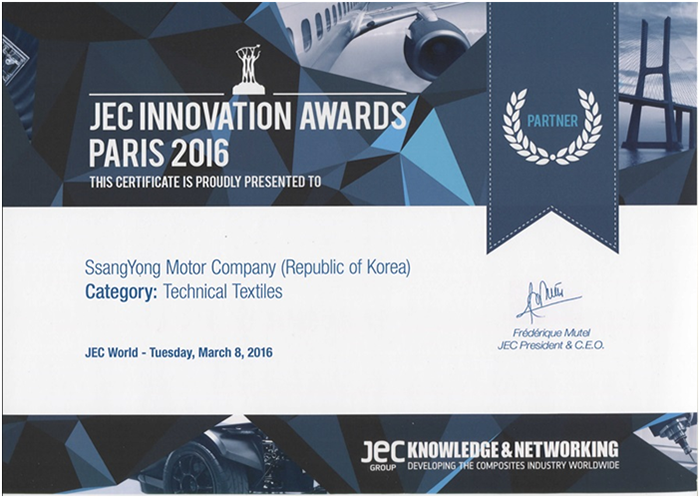 Recently, SsangYong’s efforts of building lighter cars have been rewarded at the JEC World Composite Show 2016. 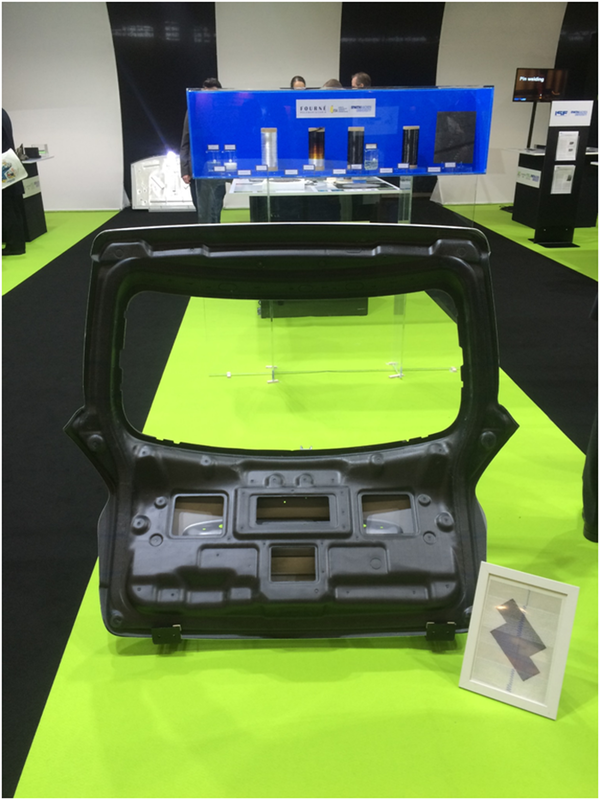 The Technology Innovation Award, received by the Koreans, rewarded the tailgate made of carbon fiber reinforced plastics (EFRP) which is an important step forward in decreasing the vehicle’s weight while raising the structural rigidity of the panel. The award is even more important, since it was received at the largest carbon composite material exhibition in the world. In is an annual event organized in Europe, Asia, and America and this isn’t the first time when they awarded SsangYong. Two years ago, in Asia, the Technology Innovation Award has been also won by SsangYong, for its carbon fiber engine cover. This year’s winner body-part is a result of the collaboration between Korea Institute of Carbon Convergence Technology (KCTECH) and the Institute of Textile Technology at RWTH Aachen University in Germany, therefore being a Korean – German victory. The tailgate is ten times stronger than a usual steel one and it weighs four times less. That’s because the technology is usually used at the aircrafts construction, a domain where the weight is a crucial factor. We don’t know yet when will SsangYong start to use it, but one thing is sure: they are ready for the game’s next level.